I made an attempt to display form results in a readable and user friendly format. I think there are certainly better ways to do this but right now have no idea how to proceed. The form results are displayed in a pop-up and the green bar on the right is a scroll bar. Do you have any ideas or examples of user friendly display of forms and surveys? Don't display the information as you would with in a form. I would prefer Image at the top and information below it to start with. Have background of both label and filed same. If the pop-up is just for the information purpose, I think you can even let labels go away. And maybe use icons instead. Not the answer you're looking for? Browse other questions tagged forms information-design or ask your own question. 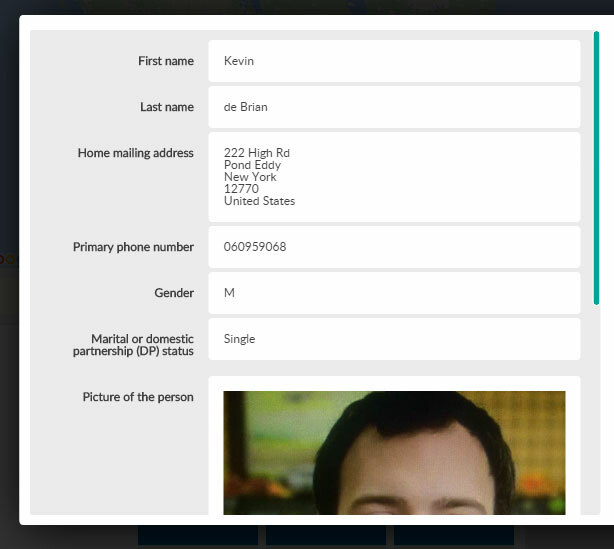 Are horizontal forms ever good UX?